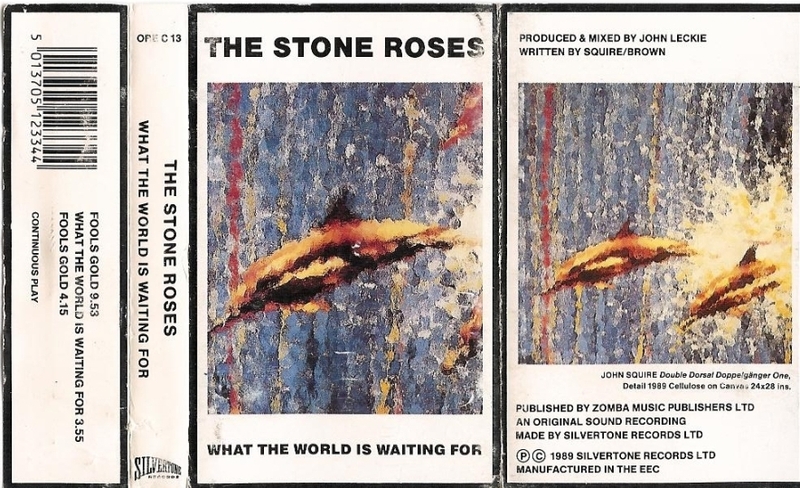 What The World Is Waiting For was originally preferred as an A-side to Fool's Gold. There are thematic touches of The Treasure of the Sierra Madre, presented in a biblical context. The lyric "He loves his brother, he'll sell him for a fistful of gold" is referring to one of two events in the Bible: 1) The betrayal of Jesus by Judas for 30 pieces of silver; being a disciple of Jesus, Judas would have been like a 'brother' to Him. 2) Joseph's brothers selling him into slavery for 20 pieces of silver. 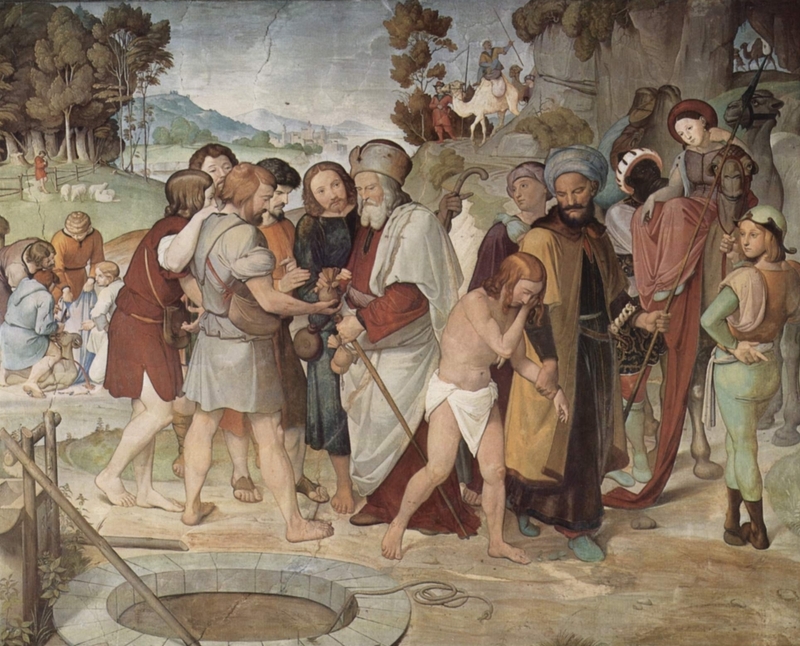 'Joseph Being Sold by his Brothers' by Friedrich Overbeck (1789 - 1869). Joseph was sold into slavery by his jealous brothers, but rose to become the second most powerful man in Egypt next to Pharaoh. During the famine that followed he brought his family down to Egypt, setting the stage for their slavery and ultimately their Exodus. The request, "Take me anyway your wind blows", finds meaning in John 3: 8. The wind blows wherever it pleases. You hear its sound, but you cannot tell where it comes from or where it is going. So it is with everyone born of the Spirit." He got up, rebuked the wind and said to the waves, "Quiet ! Be still !" Then the wind died down and it was completely calm. He said to his disciples, "Why are you so afraid ? Do you still have no faith ?" They were terrified and asked each other, "Who is this ? Even the wind and the waves obey him !" The title of a Leslie Bricusse / Anthony Newley musical ('Stop the World - I Want to Get Off') provides the song's finale. What The World Is Waiting For cassette.